Possible issue with arc rendering and radial gradients in itch app canvas? The coloured arcs this series of methods creates are rendered fine in Chrome, Firefox and Opera (nb I'm not supporting IE at all), but are not being rendered at all in the itch app. As far as I can see everything else in the game displays fine and is working perfectly in the app. This isn't entirely a game-breaker, but there is a rock-paper-scissors 'elemental' aspect to weapons / creatures, where different elemental attacks display as different colour swipes - so if this visual cue is absent it does have a signifcant impact on the game. This is the right place to post. The app could be using a older version of chromium than what your desktop browser is. This looks like a standard API though so I can't imagine why it wouldn't work. As you can see, the first `moveTo` call refers to `origin.x`, but the actual variable you want is `origin_x`. 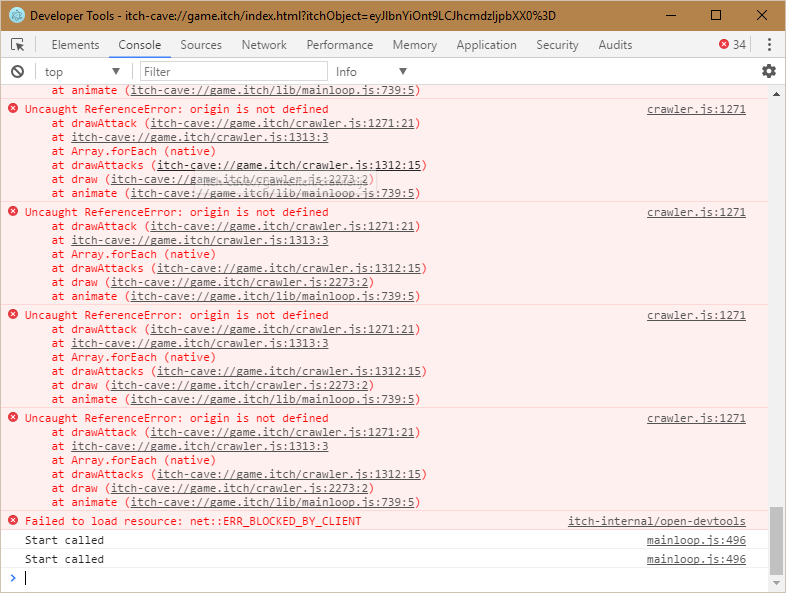 On the website, there's a variable in the global scope named `origin` (which contains the hostname the game is served from) - so it just calls `moveTo(undefined, undefined)` (since `origin` doesn't have properties named `x` and `y`). On the app, there's no `origin` variable in the global scope - so it throws, and the other calls don't go through. Haha, it's no problem! Thanks for your unwavering faith and keep posting lovely reports!